These super-popular Nordstrom buys are all still available, although some sizes and colors have sold out on the cardigans. 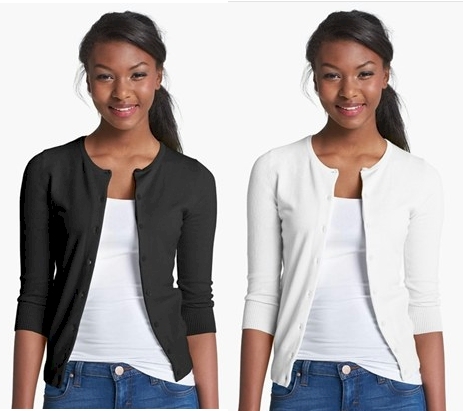 Nordstrom has got this special purchase Abound cardigan with 3/4 sleeves, in sizes XS-L, in black, white, heather gray and ivory, for just $11.90 with free shipping (no minimum). Hurry, before this sells out at this fantastic price. Here's another excellent Nordstrom special buy: get this 14th & Union v-neck cardigan for just $16.90, with free shipping (and free returns). This 3/4 sleeve button-up cardigan comes in 13 colors in sizes S-XL. Perfect for you for the summer, or for your teenage daughter's back-to-school planning. 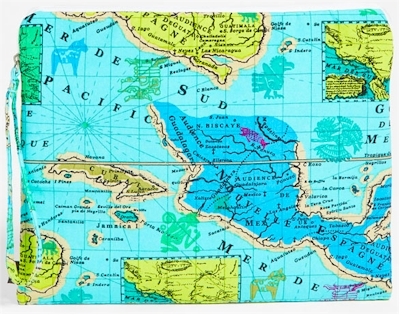 Nordstrom Rack has got this very cute Echo cotton wristlet for holding tablets or cellphones (or just to be used as a purse) marked down to $9.97 (was $28.00) with free shipping. 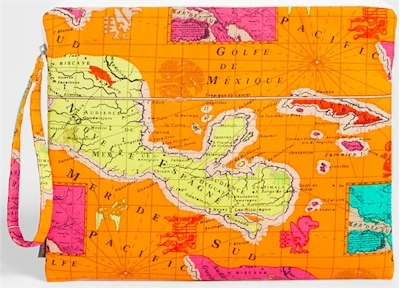 It's got a map of Mexico printed on it and comes in orange or blue. and some others. Since Target mobile coupons are considered to be the same as Target store coupons, you can stack them with manufacturer's coupons and Cartwheel discounts, which can lead to some significant savings. I'm going to stack the mobile fruit and vegetable coupons with this manufacturer's Earthbound $0.75 coupon (yay, free carrots), and this Cartwheel fruit discount (nearly half-price berries). 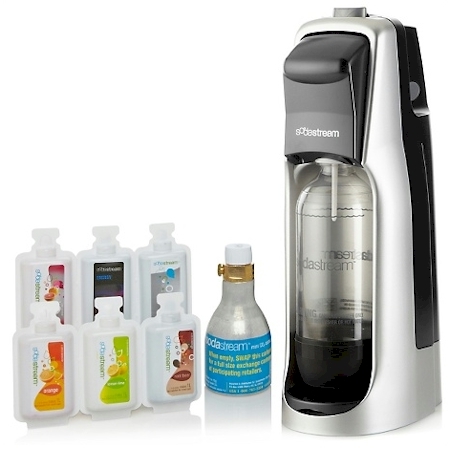 Get this SodaStream Jet Home Soda Maker for just $14.96, after promo code and mail-in rebate. HSN has got this SodaStream Fountain Jet Home Soda Maker kits for $49.95, but the 20% promo code 133295 knocks down that price to $39.96. Shipping is free. Submit this $25.00 rebate (only good through purchases made today, 6/30/13), and your net total drops down to $14.96. Please note, the $25 rebate is for purchases through TODAY, 6/30/13 only. You have until 7/30/13 to mail in the rebate, and this item is currently shipping on 7/15/13 (your date might vary) so you might be cutting it close, but it seems like you'll still have more than enough time to take advantage of the rebate. Also, as an added bonus, this SodaStream package comes with a high-value rebate for upgrading the Starter 3 oz. carbonator for a 60L carbonator. Get three 19 oz. bottles of Ultra Downy fabric softener for $5.96, or just $1.99 each, through Amazon Subscribe & Save. Now, I actually bought this deal a while back and I want to bring this to your attention that these 19 oz. 23-load bottles are smaller than what you are used to commonly seeing in stores, but at 8 cents a load, the math works for me. Click here, and ignore the "Add-On" text, since we are going to be buying this item on Subscribe & Save. Then, scroll down slightly and "clip" the $3.00 coupon. Then select the $8.96 Subscribe & Save option. Your grand total at checkout will be $8.96 - $3.00 = $5.96, or $1.99 per 23 use bottle or 8.6 cents per load. Since it's Subscribe & Save, your shipping will be free (even without an Amazon Prime account). And it can get even better. Ordering this Subscribe & Save selection will help you reach the extra 10% Subscribe and Save discount that I talked about here. Please note that if you fulfill the requirement for five Subscribe and Save deliveries in one month, the price on this 3-pack of Downy will drop to $8.02 - $3.00 = $5.02 or $1.67 per bottle. Just a word about Amazon Subscribe & Save: selecting Subscribe & Save is a fantastic way to save money. It's pretty much risk-free, even if you are doing it just to get the additional discount. You can UNsubscribe to Subscribe & Save very easily, by going to your account as soon as your order has shipped. Even if (worse case scenario) you completely forget to unsubscribe, Amazon will not send out an additional order without shooting you a warning email first, giving you ample time to unsubscribe and cancel any additional orders in time. It's pretty much an all-win proposition. Shipping on Subscribe & Save items is always free, even without a Prime membership. From the Daily Cheapskate inbox: what do you have against buying refurbished electronics? Actually, a lot. I notice that you never post deals on refurbished electronics. Why? They are so much cheaper than new ones, and most of the time just as good, though I always hear stories of nightmares. I bought a refurbished iPhone and it lasted me almost three years and only had to be serviced once, but it was half the price of a new one. What do you have against used things? Yours is not the first inquiry about this issue. I know that in theory, you'd expect a blog about saving money to be all about refurbished electronics, right? First let me go on record saying that I am all for re-purposing and re-using. I'm an avid user of Freecycle and gemachs. My wedding gown was second-hand from a gemach, my car was used, and I am constantly giving away things that still have a lot of life in them, but that I have no more use for. I'd much rather have someone else use them, than to watch them wind up in a landfill. To me, this is the true meaning of "going green." But unless you're going to get them for free, I totally draw the line at used electronics. I have purchased two refurbished electronic items in my life, and both were major losers that caused me nothing but headaches. The first was a Dell monitor, that worked fine for six months and then developed funny lines across the screen. The other item was a washing machine that we got at a Sears scratch-and-dent store. The machine did work for two years, but always made a funny noise. Turns out that funny noise was the motor, and we were stuck with the hassle of having to buy a new washer after two years. I won't touch refurbished anything with a 10 foot pole. Sometimes a bargain is not a bargain. The Internet is laced with stories of people saving a small fortune buying refurbished electronics that are "just as good" as brand new ones, and saving a pile of cash. But I take all of these success stories with a grain of salt, because the success stories tend to be the ones that get posted on the web, while the failures don't. While I have nothing other than anecdotal evidence to back this up, I suspect that for every one refurbished electronics success story, there are ten unhappy failures. Whenever I speak to friends who have bought refurbished electronics, I hear horror stories. Every now and then, I'll hear someone rave about a refurb laptop that he got for half the price that works perfectly. And of course, there is no guarantee that something that you buy new is going to work the way it's supposed to just because it's new, but at least you're giving it the best shot by not buying someone else's former headache. I know that not everyone is going to agree with this view, and that's fine. Some "expert" buyers will recommend that as long as you get refurbished electronics with a warranty or from a reputable company, you're good to go and will save a lot of money. That's fine and I wish them well when they are on the phone with customer service. I'd rather save money in other ways, like waiting for a killer sale and a really good promo code, or using gift cards saved up from other deals to purchase pricey electronics. I've been burnt twice and that was enough. To be fair, I do think there really are some refurbished electronics and appliances that are major deals. When I bought my new iPad, I accidentally bought a white one instead of the black one that I really wanted. I had to open the shrink wrap to find that out, but I never actually turned on the iPad or even took it out of the box. I brought it back to Target and they very graciously swapped it out for me, and the cashier told me that the white one that I returned would now be considered refurbished. I thought to myself that whomever is lucky enough to buy that iPad at a refurbished price was going to get a real bargain. I'm all about saving money, but sometimes a bargain is just not a bargain. Get 30% off regular-priced merchandise at Lane Bryant, when you enter promo code JULYGIFTLB at checkout (expires 7/28/13). Excludes nursing bras, SPANX, IGIGI by Yuliya Raquel, SWAK Designs, Kiyonna and Monif C. products; other online non-Lane Bryant or non-Cacique brands; Gift Cards and E-Gift Cards. Request your free Garnier Ultra-Lift Targeted Line Smoother from Target here. Hm. Yum. Print your coupon for $1.50 off Snickers Twix, or Milky Way ice cream 6-packs. Walmart has got this Collins Log Cabin 4-piece patio conversation set on rollback for $169.00 with free store pickup (or $19.84 shipping). 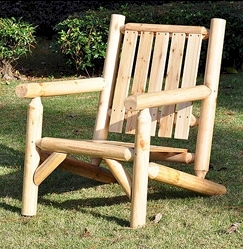 This was one of the most popular outdoor furniture deals I posted this year. And it's back! 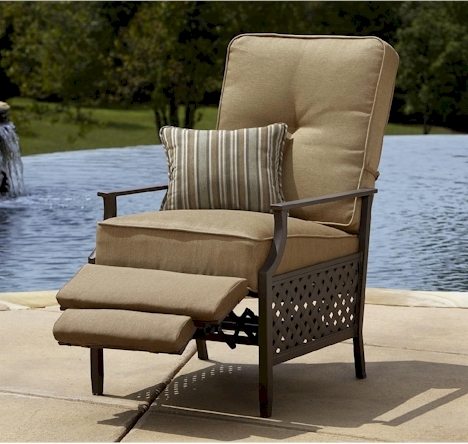 La-Z-Boy has a fantastic deal on this highly-rated outdoor Kennedy recliner when you buy it from K-Mart. Originally $349.00, down to $200.00, and now it drops to $179.99 with free store pickup. 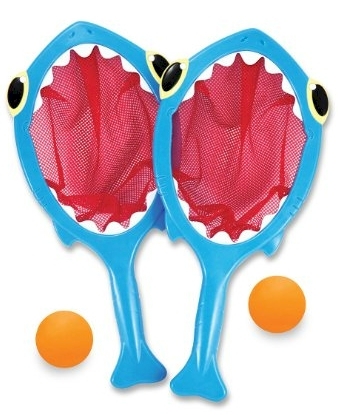 Amazon has this Melissa and Doug Spark Shark Toss & Catch set for just $11.99 with free Prime/SuperSaver shipping. It's chlorine resistant, so this would make a great pool toy. Includes 2 nets and 2 balls. Play ideas include 1 player and group games. Encourages gross motor skills, hand eye coordination and interpersonal skills. Fade resistant materials stand up to sun and chlorine. Durable plastic frame and strong polyester nets. 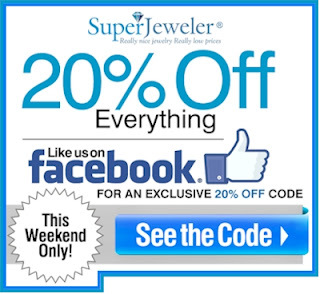 This weekend only, when you like Superjeweler on Facebook and get a 20% off promo code for everything on the SuperJeweler site. That promo code is only good through Sunday. And shipping is always free at SuperJewelers. 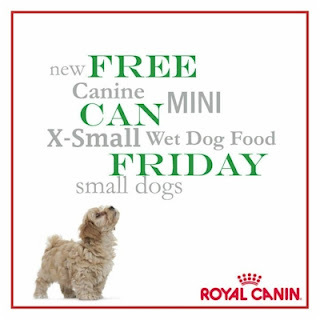 Print your coupon for a free can of Royal Canin dog food here. Up to two prints per computer. 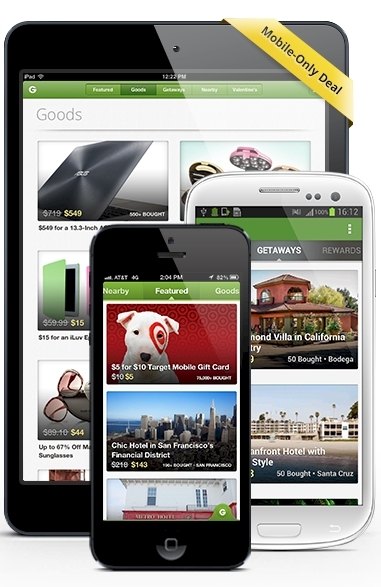 $10.00 Target mobile gift card for $5.00 through the new Groupon app. 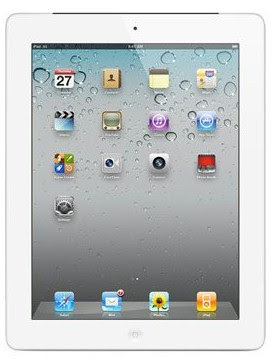 Get a $10.00 mobile Target gift card for $5.00, when you purchase it through the new Groupon mobile app. Download the app here (available for both iPhones and Androids), and then just search for the Target offer and buy the $10.00 gift card for $5.00. (If you don't see the offer right away, search for it under "Deal Mega Mix.") Limit one per person. Gift card never expires and is redeemable both in-store and online. U.S. only. 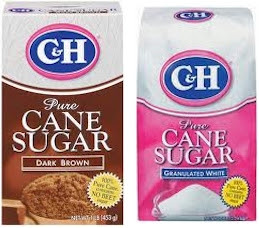 Print your coupon for $1.00 off two C& H sugar, 2 lbs. or more. 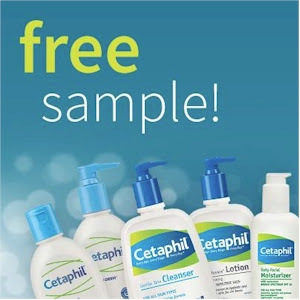 Request your Cetaphil free sample here. Here's one that I found at a friend's request. This Intex Floating Recliner Lounge is just $22.19 with free Prime/SuperSaver shipping from Amazon. 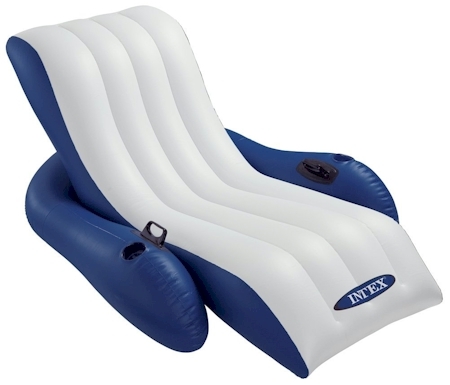 This pool lounger (with cup holders) got 4.2 out of 5 stars over 214 customer reviews. Chair-like design for added comfort. 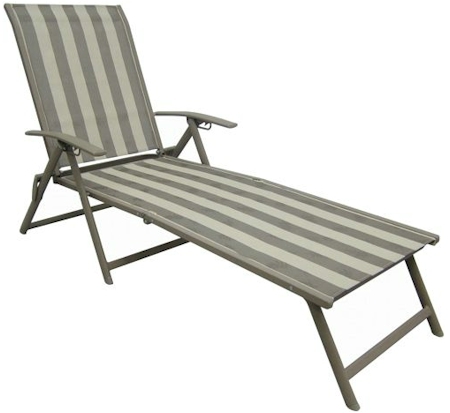 Walmart has this set of two chaise lounges for $79.00 (comes to $39.50 each) with free ship-to-store (or $9.97 shipping). These pretty lounges got 4.5 out of 5 stars over 196 customer reviews. This was one of the few chaise lounges that I found priced considerably less than $100 with excellent customer ratings. The folding feature aspect of these chairs is a major plus if you've got limited storage for your yard or pool furniture. Fabric content: sling fabric for seat and back. Clean with mild soap and warm water without abrasive materials or cleansers. 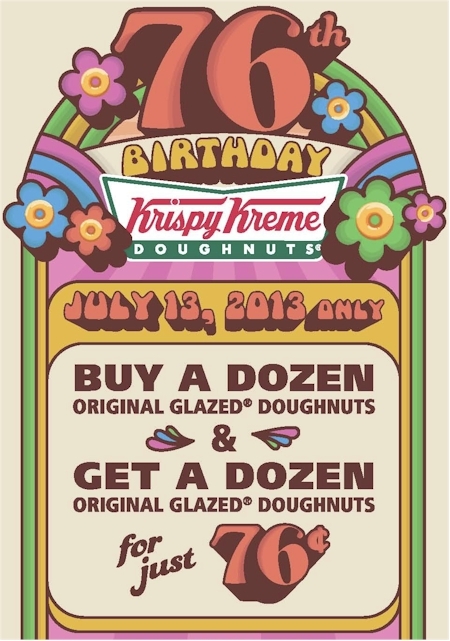 In honor of their 76th anniversary, when you buy a dozen doughnuts at Krispy Kreme on 7/13/13, you'll get another dozen for $0.76. This falls out during the Nine Days, so you'll be able to make good use of those delicious dairy treats. (It's times like this when I miss the kosher Krispy Kreme in Omaha!) If you'd like more information about Krispy Kreme's kosher locations, they will not release a written list, but you can call 1-800-4KRISPY and ask about individual stores. Print your coupon for $1.50 off one Clorox 2 Stain Remover & Color Booster here. Walmart has got a great price on a 40 lb. 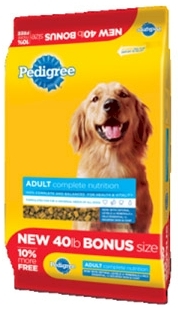 bag of Pedigree Adult Complete Nutrition dog food: $19.98 with free in-store pickup (or $5.00 shipping). That works out to $0.50 per lb. Just to give you an idea of how excellent this price is, Amazon has a 36 lb. bag for $43.08, more than twice the price and 10% less of the amount of dog food. 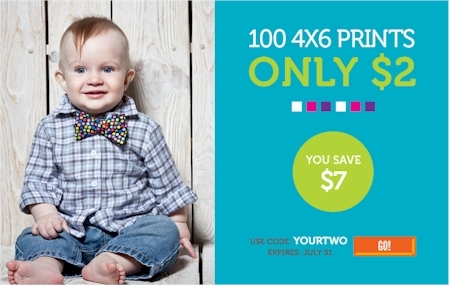 Print your (very rare) coupon for $1.00 off any Liquid Plumr item here. I love when these two discounts line up so perfectly. For this week only, through 6/30/13, get 43% off at Payless.com. How? Well, they are having their cyclical buy-one-get-one-half-off (BOGOHO) sale, which is the equivalent of getting 25% off when you buy two items that are the same price, AND they have a stackable 25% promo code out, 89533, which is good through 6/30/13. For all of you mathoholics out there, when you take 75% of 75%, you get ~56%, or 43% off. And for those of you allergic to math, well, trust me; it's a fantastic deal of almost half off. As with all Payless deals, make sure you opt for "ship to store" (Payless stores are everywhere) to save paying the shipping fee. 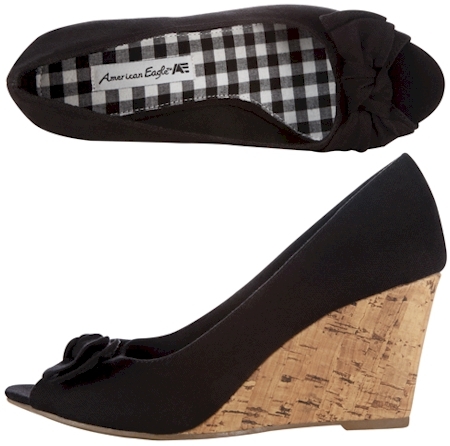 Even if you're not crazy about Payless shoes, be sure and check out their accessories section. 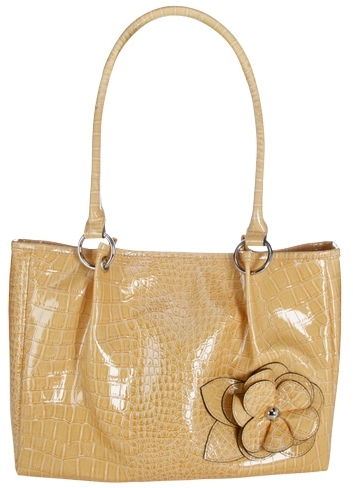 I found the purse pictured above for $14.99, but it dropped to $8.43 each when I got two and used the promo code 89533. I always pick up a new pair of canvas shoes to wear on Yom Kippur when they run this sale around this time of year. 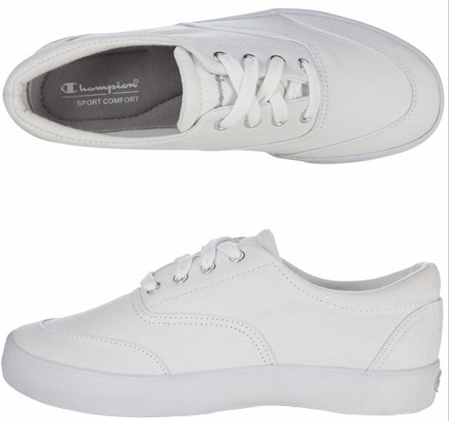 This pair of Champion oxfords is $22.99, but when I buy two of them and use the promo code 89533, they drop to $12.93 each. The deals abound, so make sure you take advantage of this offer soon, as promo code 89533 will expire after 6/30/13. 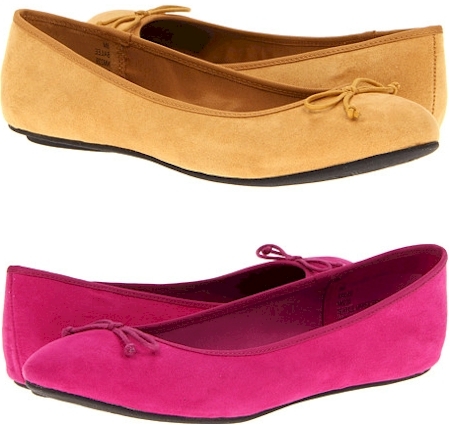 6pm has these Mia Bailee flats in either mustard or fuschia for just $15.00 with free shipping. Right now, lots of sizes are available in either color (I got one of each, yay! 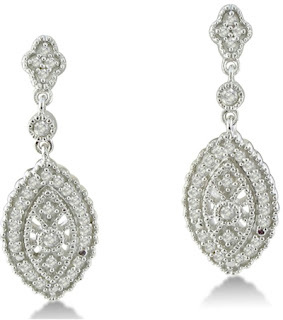 ), but at this price, that availability will change, so hurry. Heads up! Target has sent out a bunch of store coupons to some of their RedCard shoppers. 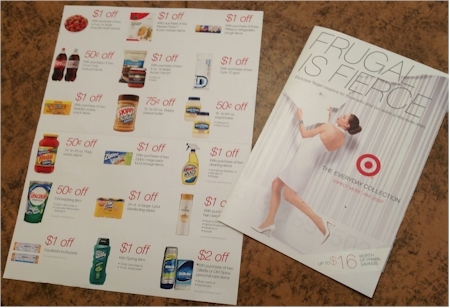 If you see a circular entitled "Frugal is Fierce," don't toss it; it contains $16 worth of Target store coupons, including rare produce and soda coupons. If you're a Sprouts shopper, stop by today and pick up a free 6-pack of Zevia soda. Print a $2.00 manufacturer's coupon here and stack it with the $1.00 store coupon here. The 6-packs are on sale for $3.00 this week, so you'll walk away with a free 6 pack. Note: even though the $2.00 coupons are limited to two prints per computer, some of you might find a way to print multiple copies. Please be considerate and do NOT clear the shelves at Sprouts. Even though we have 4 computers and I can print out 8 coupons, whenever an offer like this comes out, I generally limit myself to no more four freebies. When couponers start clearing shelves, stores start hating couponers and imposing more restrictions on coupon usage. 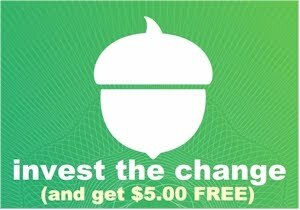 Right now, Sprouts allows coupon stacking, but that could change very quickly if people started taking unfair advantage of free deals like this one. And fyi, while you are at Sprouts this week, don't forget to pick some the $2.50 boxes of Tofutti Cuties (normally $3.99). 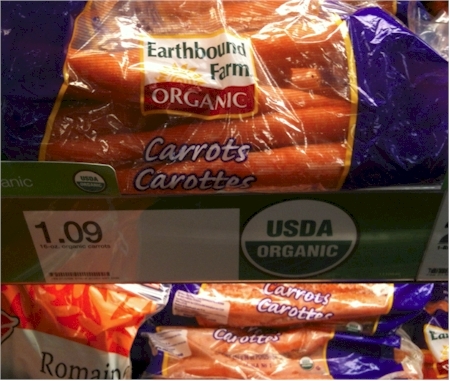 Since mobile coupons are treated like Target store coupons, you can stack the vegetable coupon with this week's $0.75 Earthbound Farm Organic coupon to score some free carrots. Earthbound Farm 1 lb. carrots are $1.09 at Target or $2.09 for the baby carrots. You can also stack these mobile produce coupons with the Cartwheel discount offers on produce, including bagged apples, packaged tomatoes, canteloupes, avocados, berries, bagged potatoes and bagged oranges. Each mobile coupon is good for one use only. 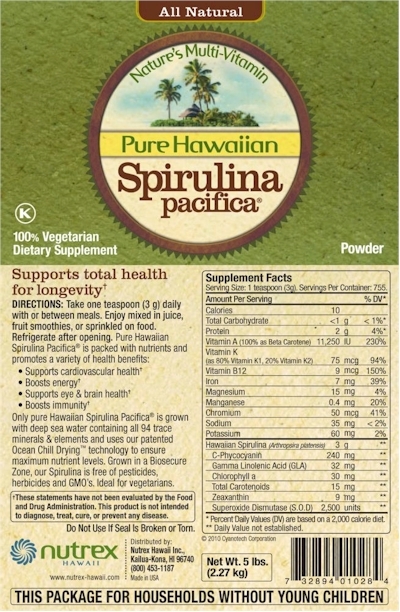 Are you into nutritional dietary supplements? 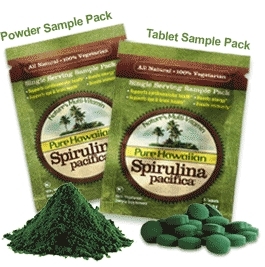 Request a free sample of Pure Hawaiian Spirulina Pacifica (I have absolutley no clue what on Earth this stuff is) here. Looks like it's kosher (OK-Labs), pareve, vegetarian and loaded with vitamins A, K, and B12. As always, check with a doctor before taking any nutritional supplements. Print your coupon for $1.00 off any Brawny 2-giant rolls (or larger) here. 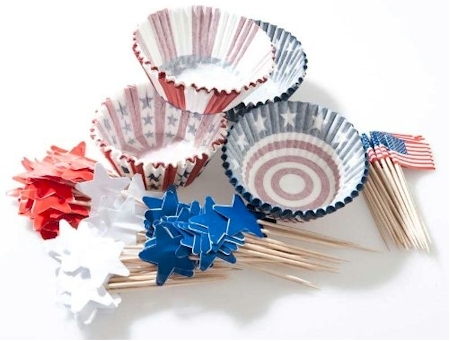 Get 100 cupcake liners AND 100 patriotic toothpicks for $7.13 from Amazon with free Prime/SuperSaver shipping. 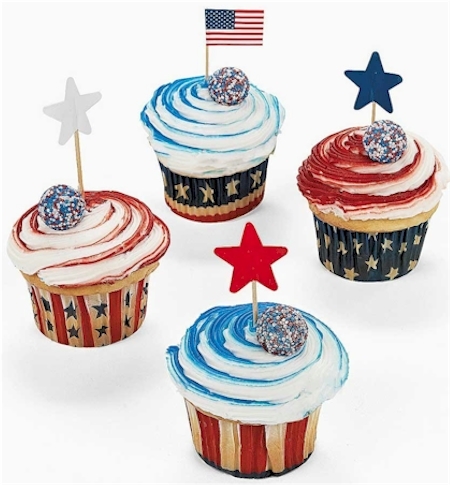 That averages out to roughly 3.5 cents per cupcake liner/toothpick, a very nice deal for your July 4th barbecue or picnic. 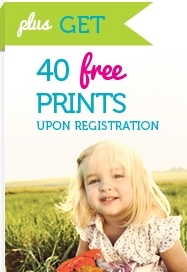 York Photo has a nice offer for new customers: get 140 4"x6" prints for $2.00 plus shipping. Shipping for 140 prints typically goes for $7.74, so your total will be around ~$9.74 for the 140 prints, or slightly less than $0.07 per print including shipping. 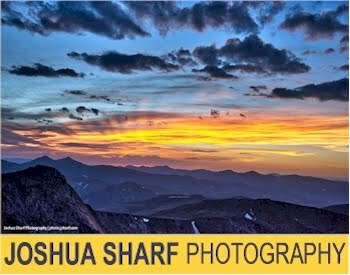 The offer is actually for 100 prints, but since every new customer gets 40 free prints, you'll end up with a total of 140 prints for the $2.00 plus the shipping. Make sure you use promo code YOURTWO at checkout to drop the price down to $2.00 (expires 7/31/13). One offer per new customer. Alternatively, York Photo has a nice offer going on for Independence Day: if you're a new customer, you can get a 4"x6" custom photo magnet for only the price of the shipping (~$1.99). AND, since you're a new York customer (as opposed to a New York customer), you'll also get the 40 free prints upon registration, meaning you'll also pay just the price of the shipping (~$1.80). So you get both the fridge magnet and the 40 prints for the shipping cost, just around $3.79. Use promo code FREEMAGNET (expires 7/15/13) to get this deal.